Lifestyle technology is only so if it compliments your lifestyle. Connected Living believe the technology that surrounds our spaces need to be easily and intelligently controlled, whilst complementing the aesthetics. This means that our control devices, such as touch screens or wall panels, have to be functional and attractive. There is nothing worse than a wall covered in control panels driving different systems that are all styled differently! Connected Living strongly supports the integration of these technologies into single control panels and touch screens, simplifying operation of the home's systems, as well as reducing wall clutter. Integration used correctly can be a powerful tool for designers . With a professional system integrator like Connected Living, your home's technologies can become much more than individual systems and work together to enhance and simplify your lifestyle. 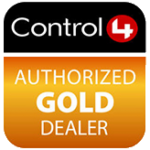 The integration of systems such as security, lighting, air conditioning and access controls means you can control your entire home from the one touch panel. This level of integration allows us to implement many convenient and energy efficient features in your home. For example - when you arrive home from work the front gate opens, the security system is disarmed, the temperature is set to your liking, your favourite music begins to play, and a path of light is made for you to the living and bedroom areas. Or a goodnight button next to your bed arms the security system, and turns of all unnecessary lights and appliances in your home, ensuring a peaceful sleep.